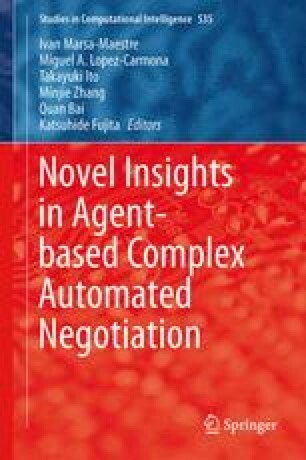 Automated negotiation techniques can greatly improve the negotiation efficiency and quality of our human being, and a lot of automated negotiation strategies and mechanisms have been proposed in different negotiation scenarios until now. To achieve efficient negotiation, there are two major challenges we are usually faced with: how to model and predict the strategy and preference of the opponent. To this end we propose an adaptive negotiating strategy (CUHKAgent) to predict the opponent’s strategy and preference at a high level, and make informed decision accordingly.